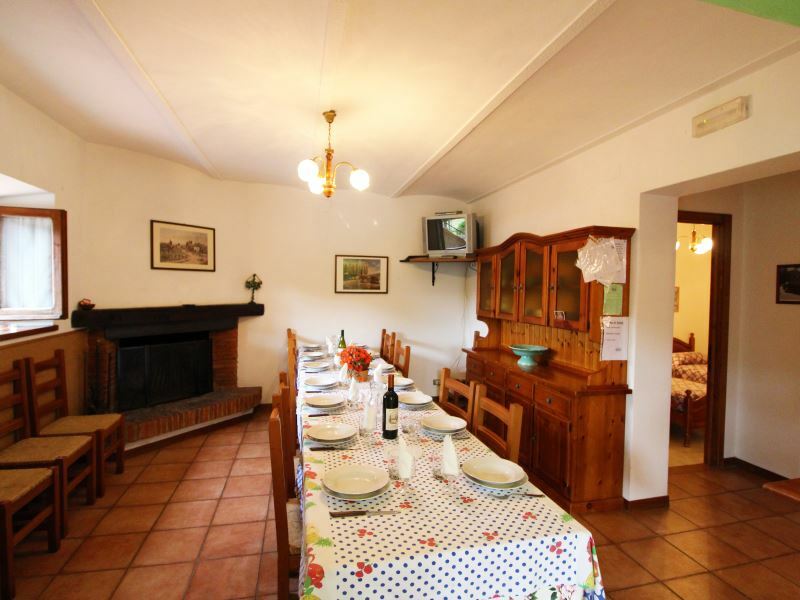 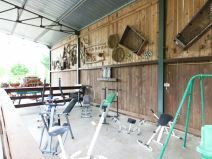 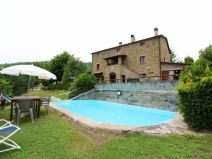 Stone farmhouse for 18 people with private pool, tennis court, satellite TV, Wi-Fi, barbecue, table tennis, bowling green, children's playground, fishing pond. 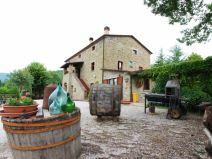 25 km away from Cortona. 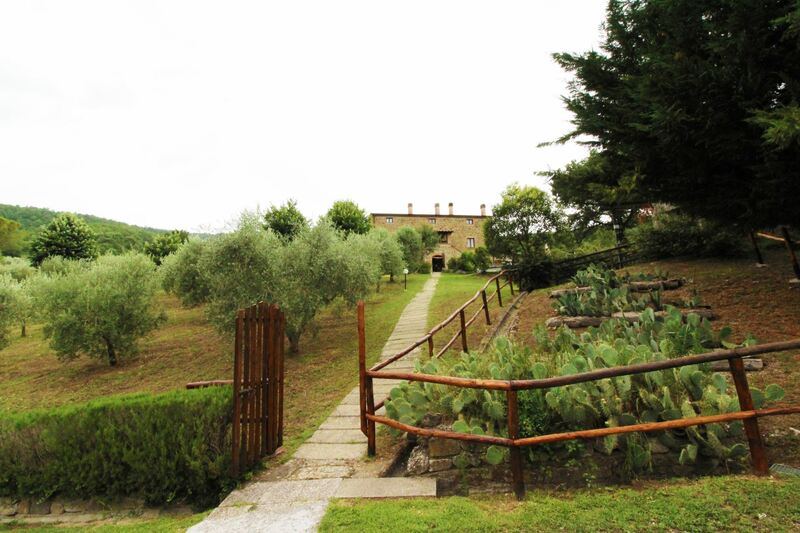 In the green and peace of the Cortona hills. 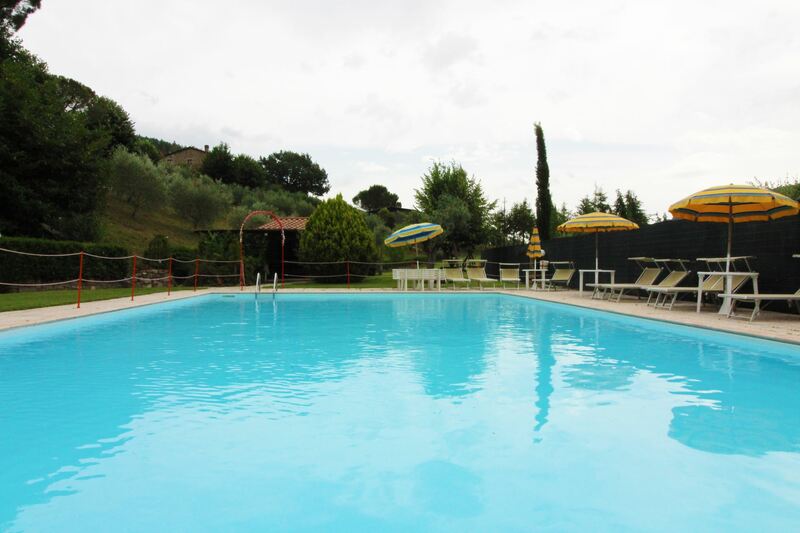 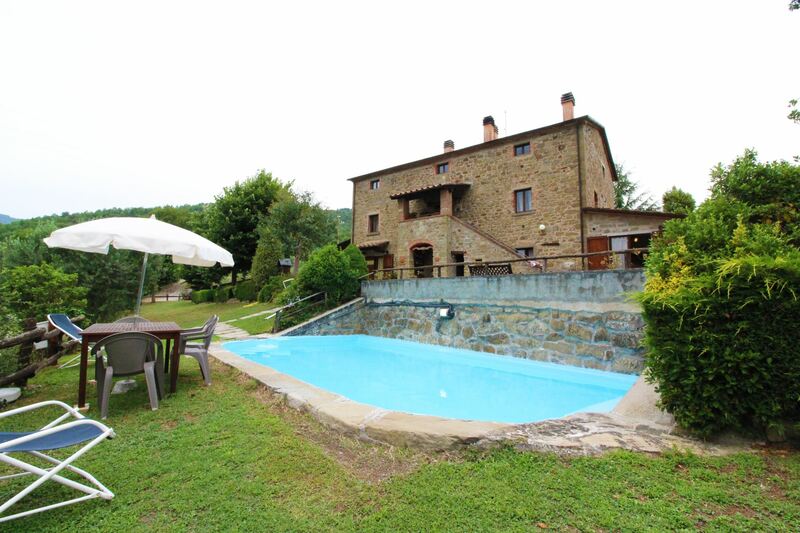 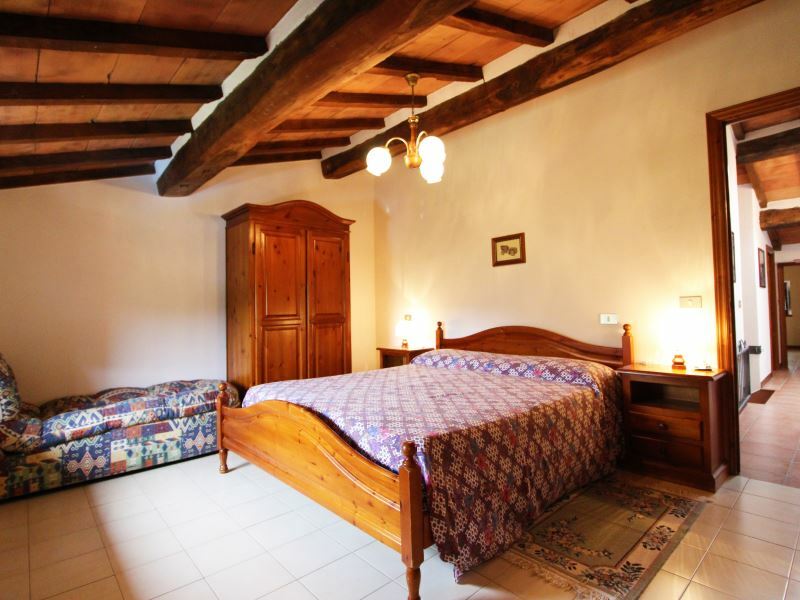 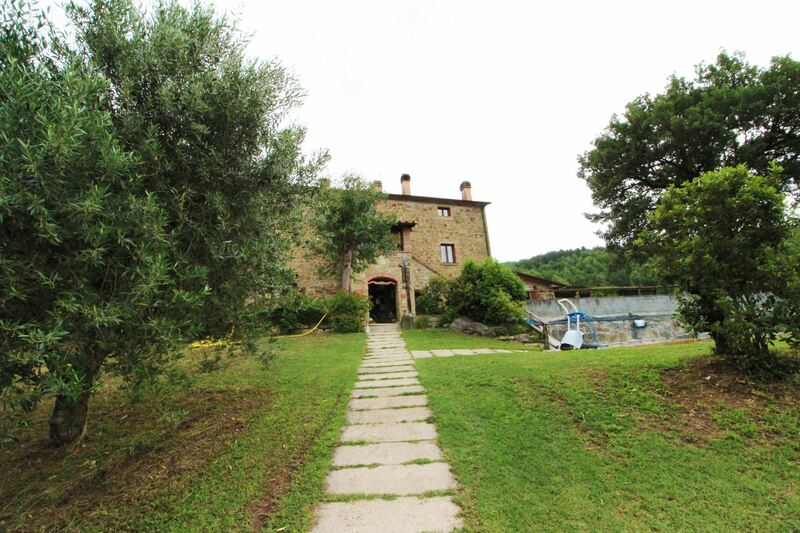 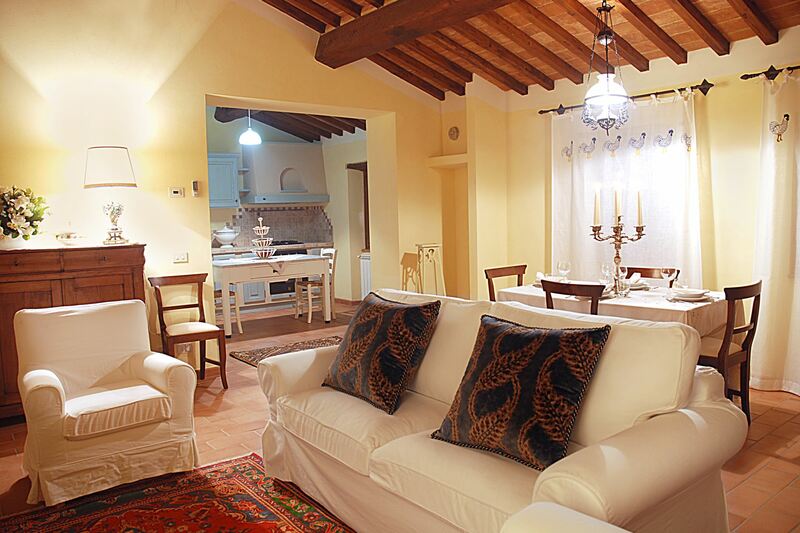 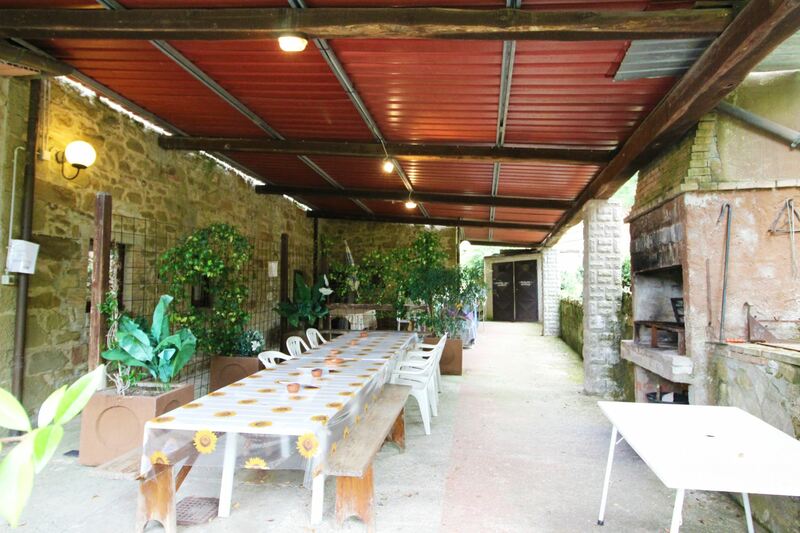 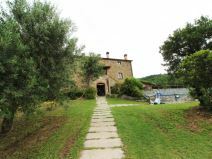 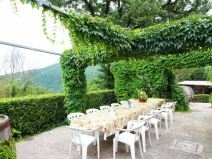 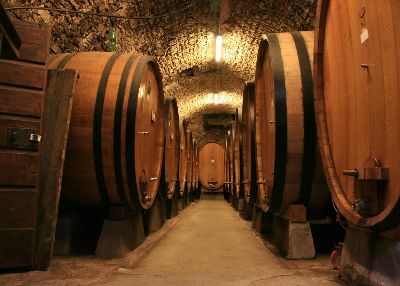 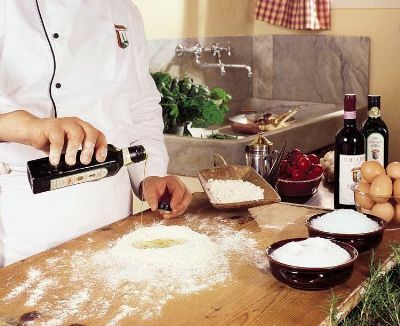 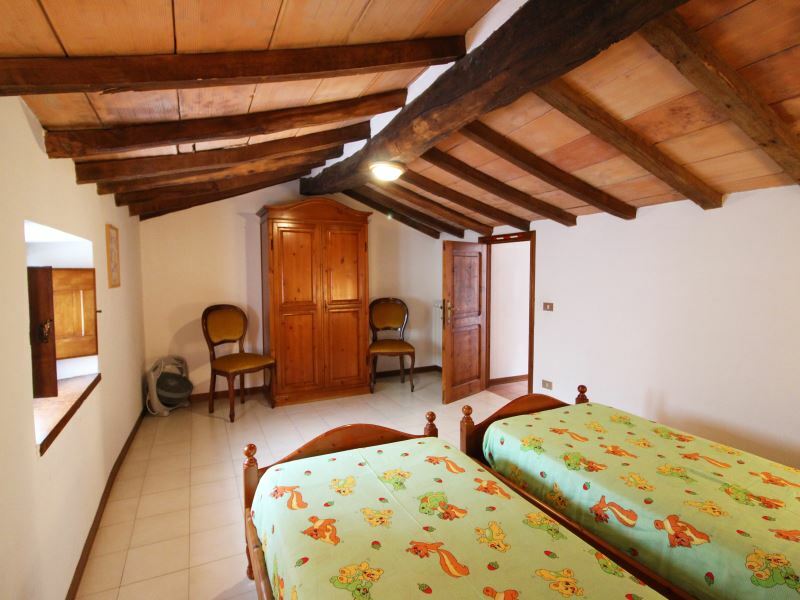 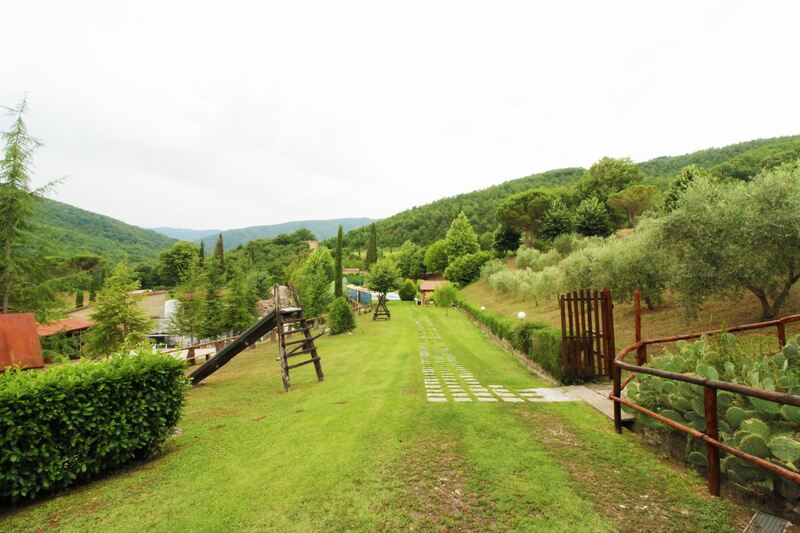 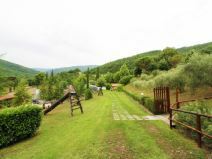 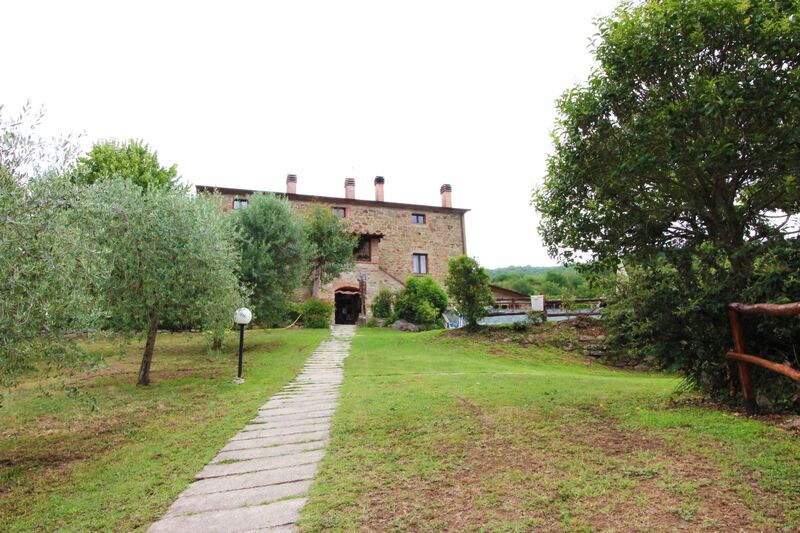 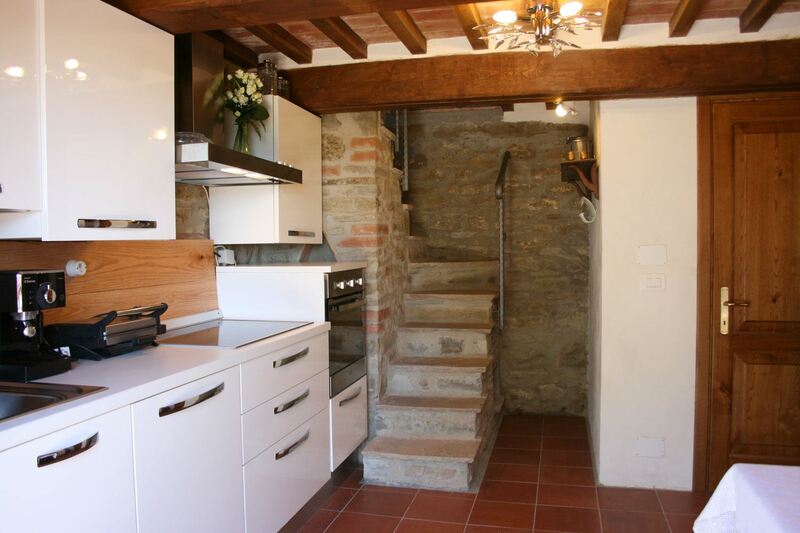 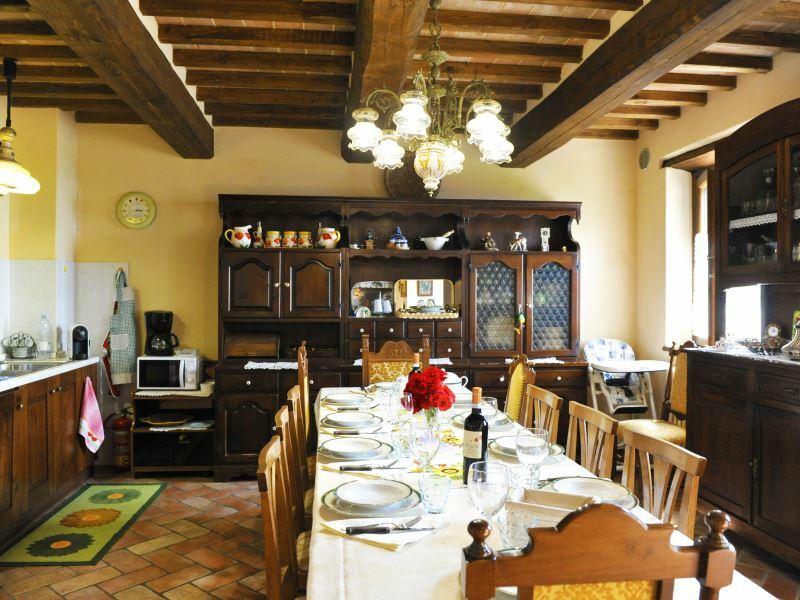 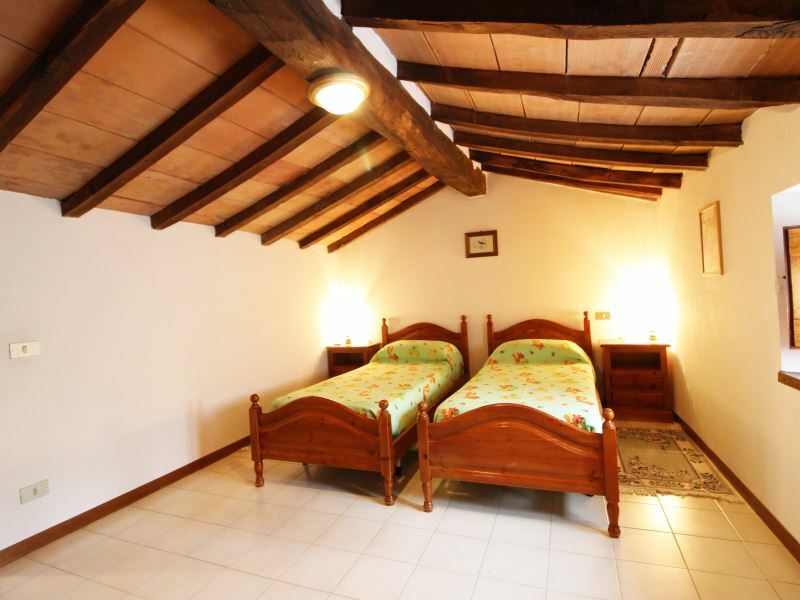 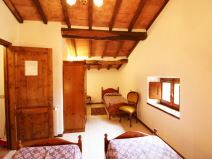 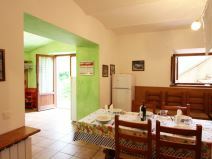 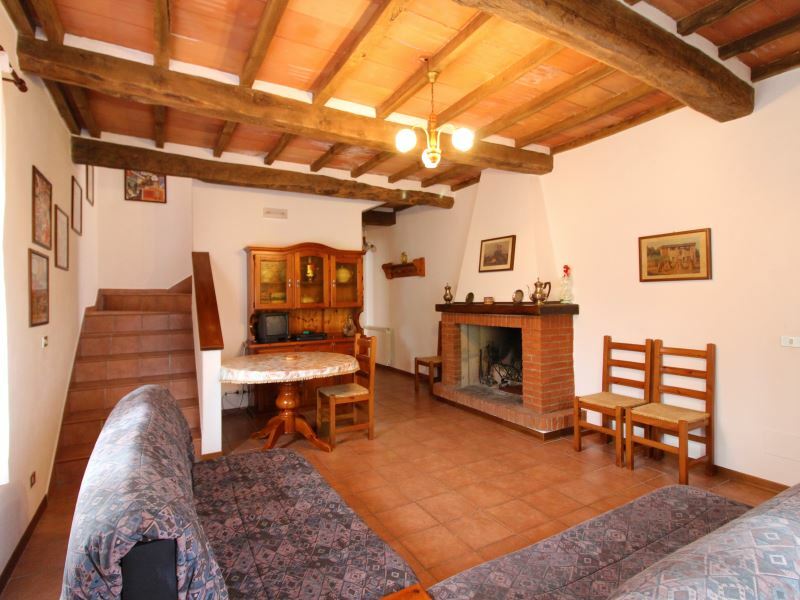 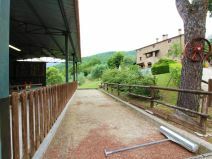 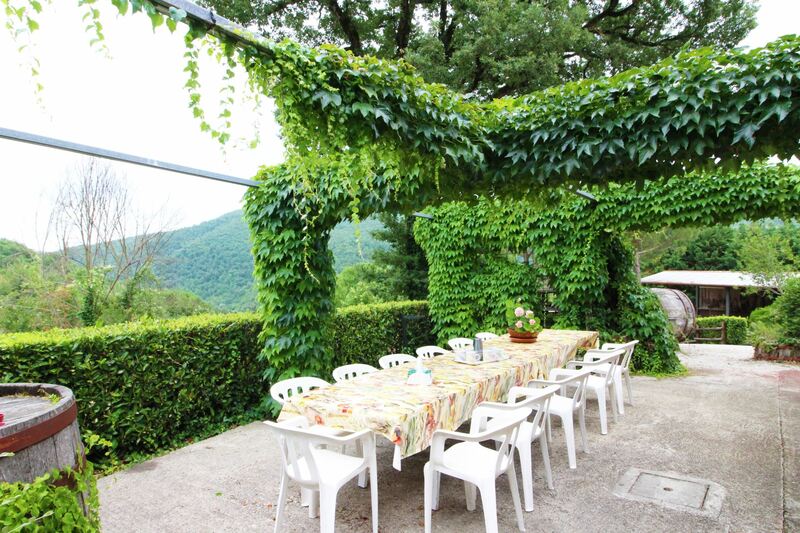 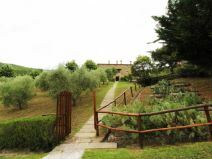 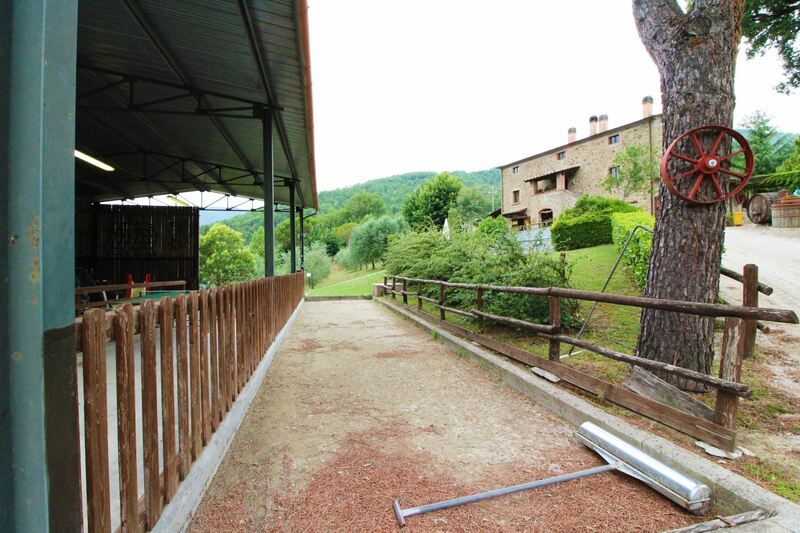 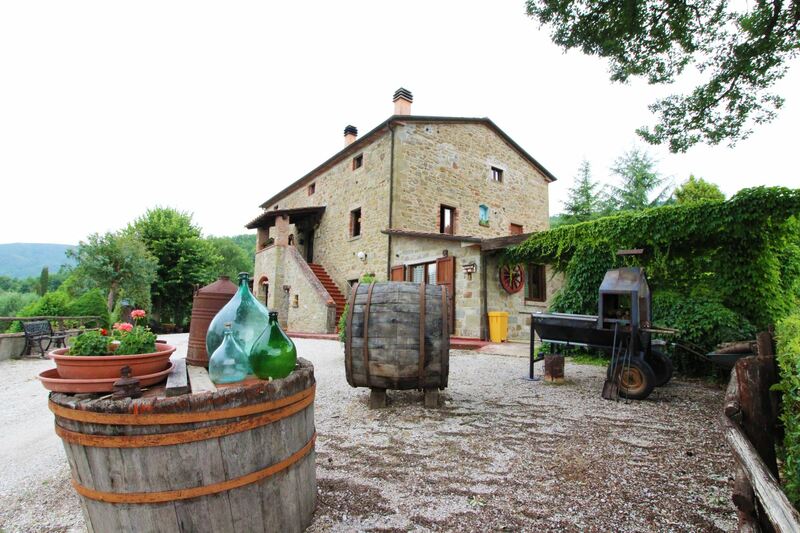 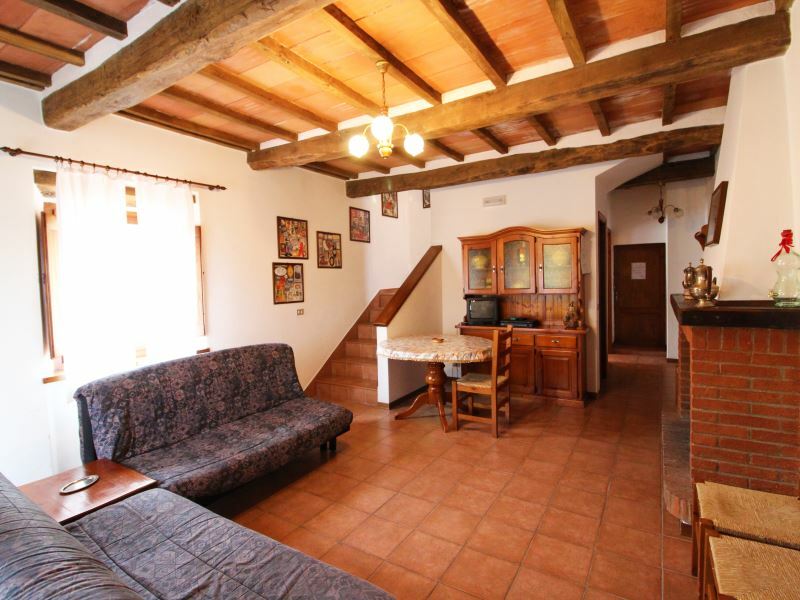 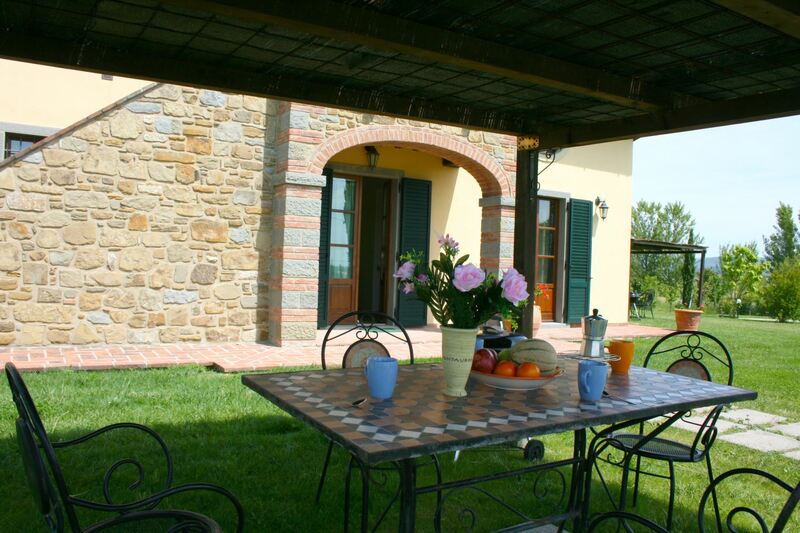 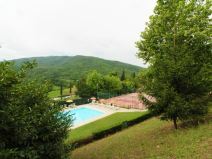 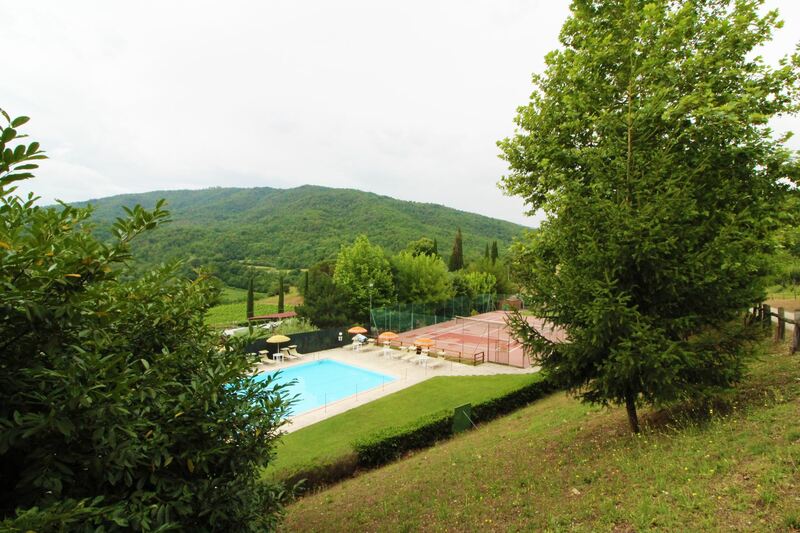 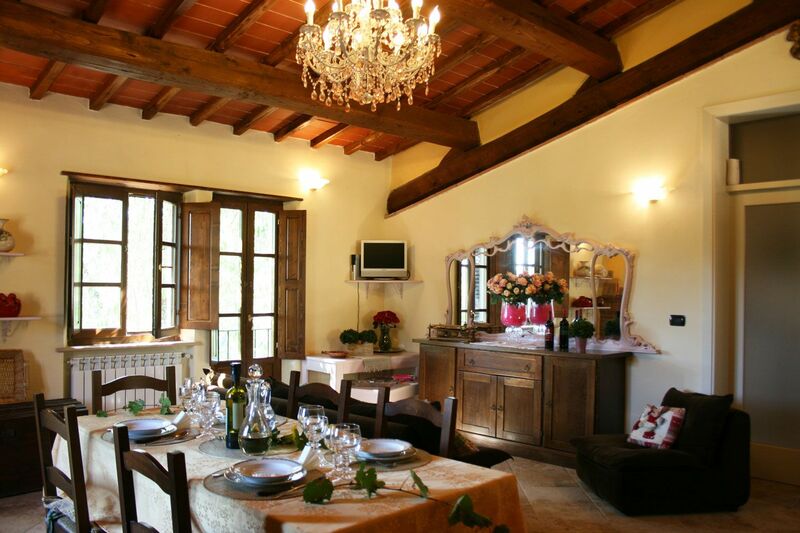 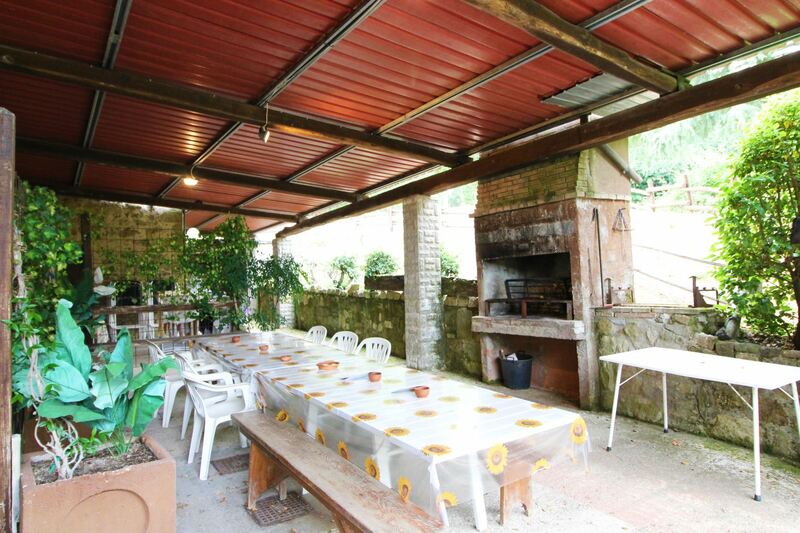 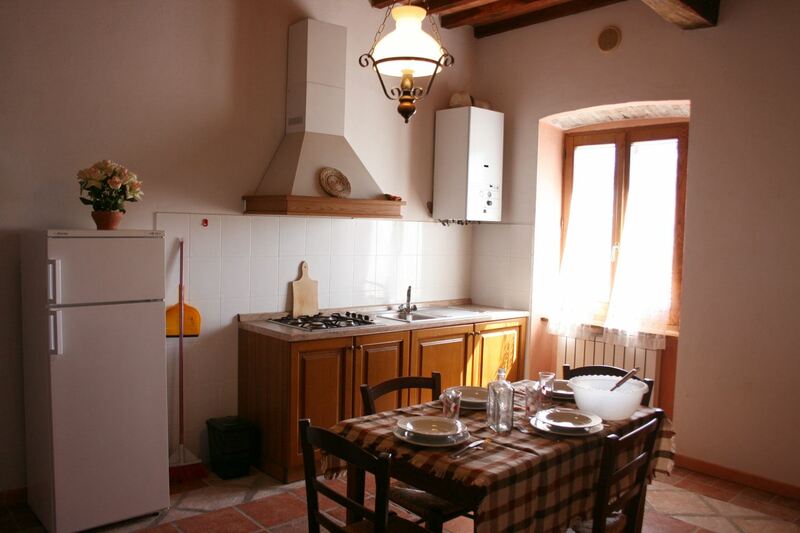 Casale Aiola is an old stone farmhouse, part of a modern forestry and farmhouse holiday enterprise, immersed in the vegetation and peace of the Cortona hills on the border between Tuscany and Umbria, amidst ancient woods and enchanting valleys. 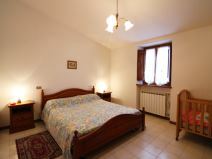 The owner lives in a part of the house and with his discreet presence is available to provide any information needed. 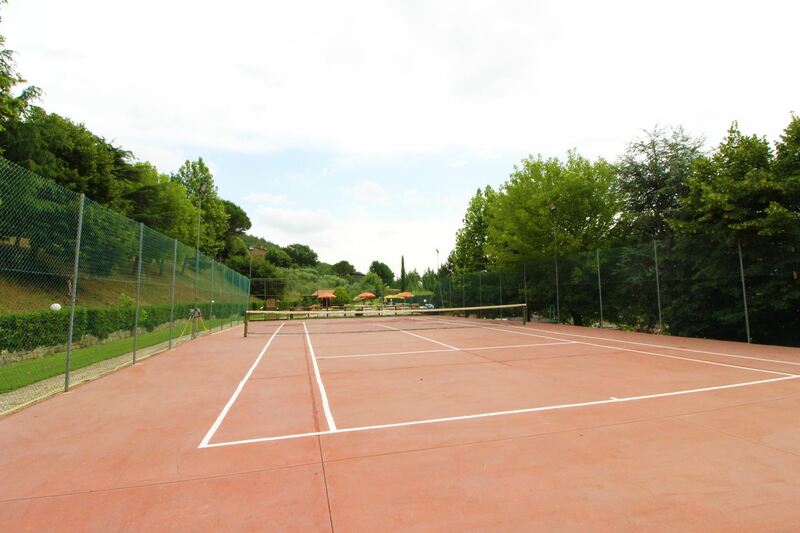 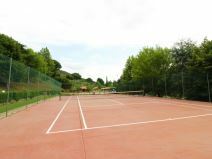 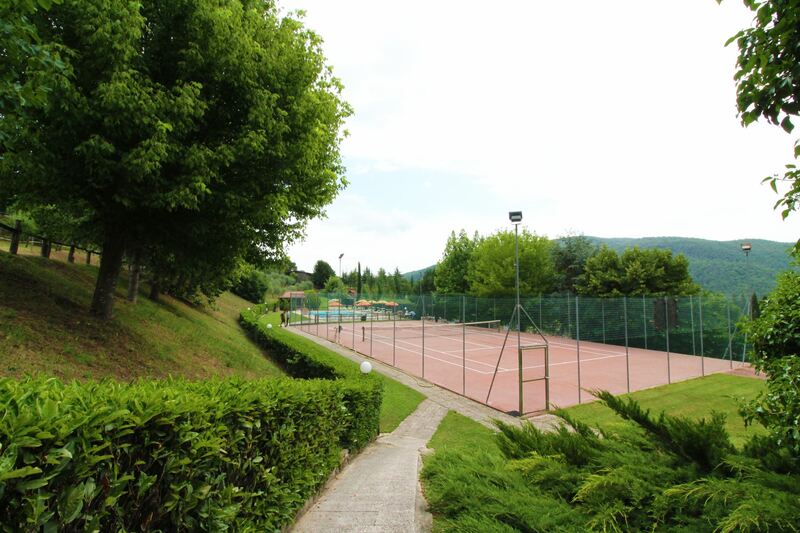 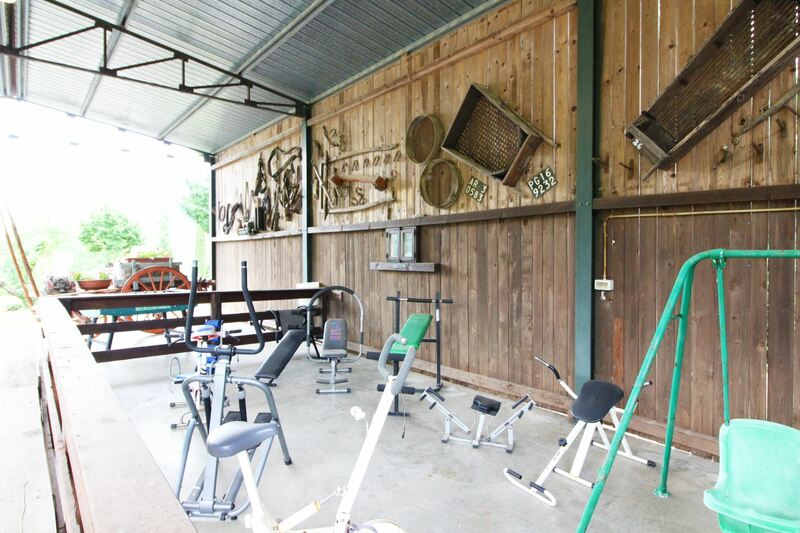 Swimming pools, tennis court, fishing lake and all the other amenities. 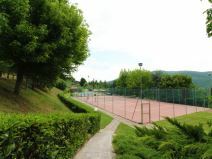 In the large garden around the house there is a table tennis, table football, children games, bowling alley, a fishing lake, fitness equipment, five-a-side football field, a tennis court, two swimming pools, a large one 9x16 m (depth 1.20 m, completely fenced) and another for children (4x8m - depth 0.60 m) all available for guests' use. 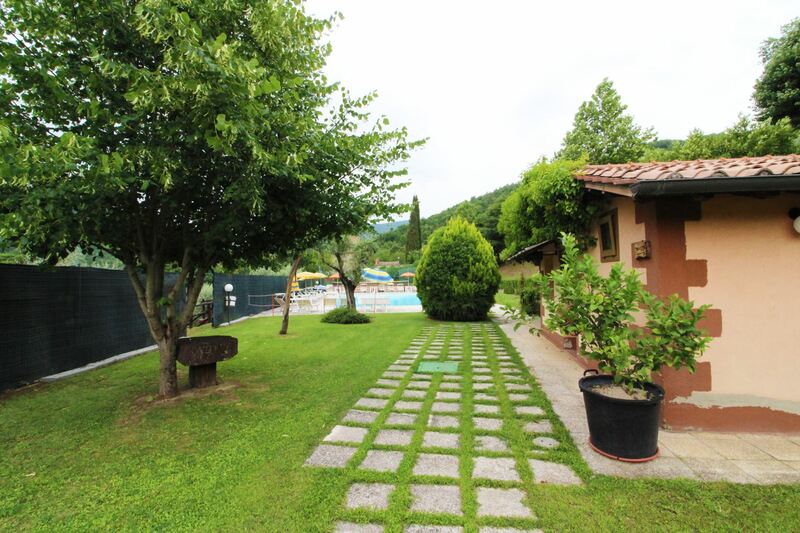 At the pool a cozy gazebo with fridge and bathroom with shower. 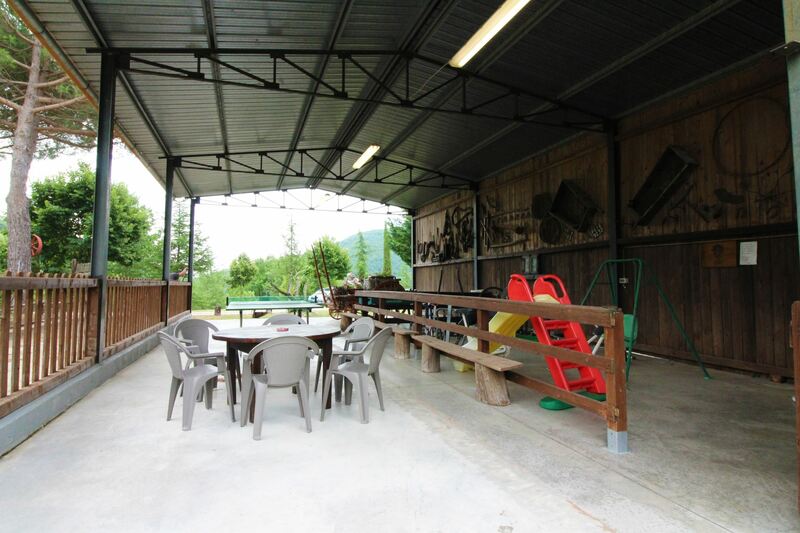 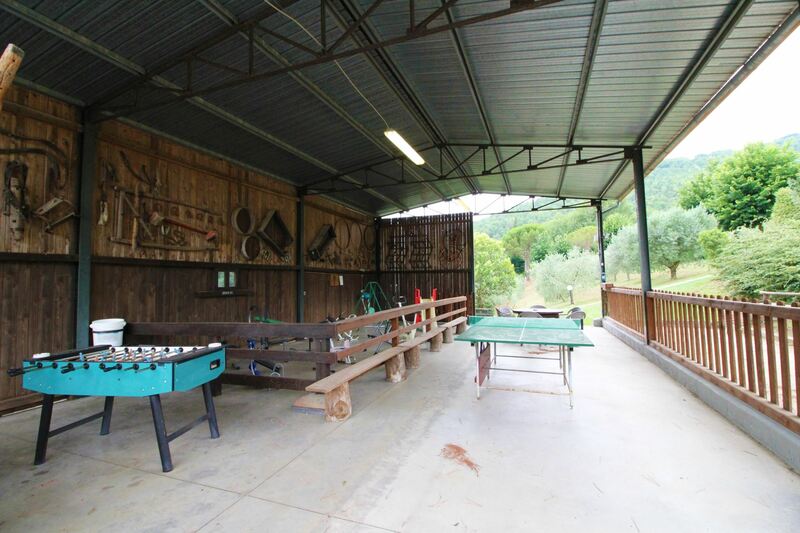 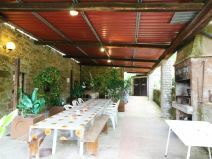 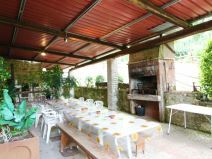 On one side of the house two large pergola, one of which is covered, equipped with table, chairs and barbecue for outdoor meals. 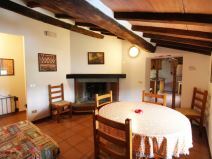 GROUND FLOOR: large sitting-dining room with kitchenette, fireplace and Satellite TV, double bedroom, twin bedroom, bathroom with shower. 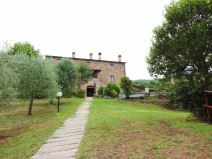 FIRST FLOOR: with access via external staircase with typical loggia, sitting room with fireplace, sofas and Satellite TV, bathroom with shower, two double bedrooms one of which is walking through room with fireplace, bathroom with shower. 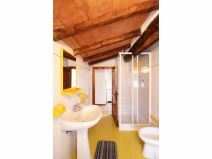 SECOND FLOOR (ATTIC): with access via two internal staircases, double bedroom, single bedroom, twin bedroom, bathroom with shower. 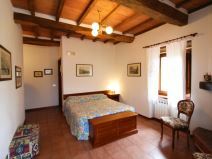 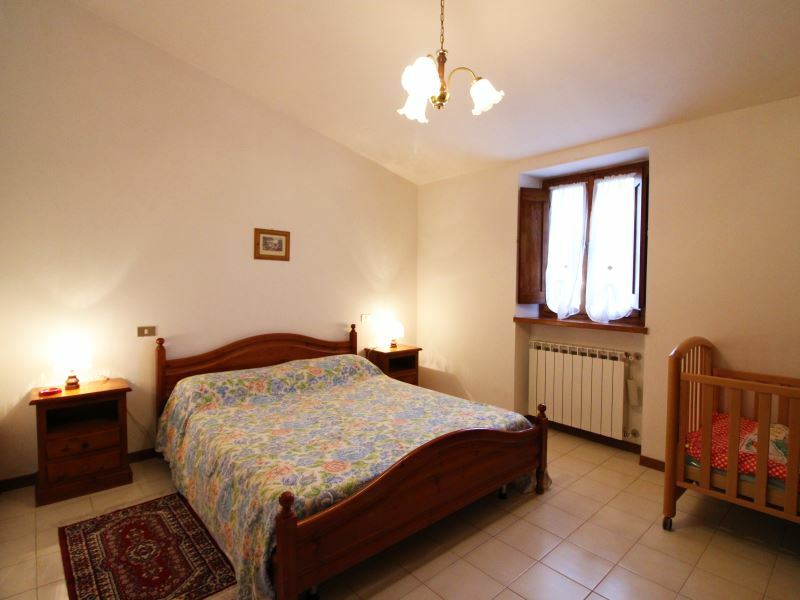 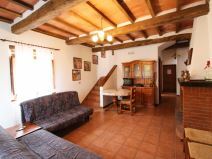 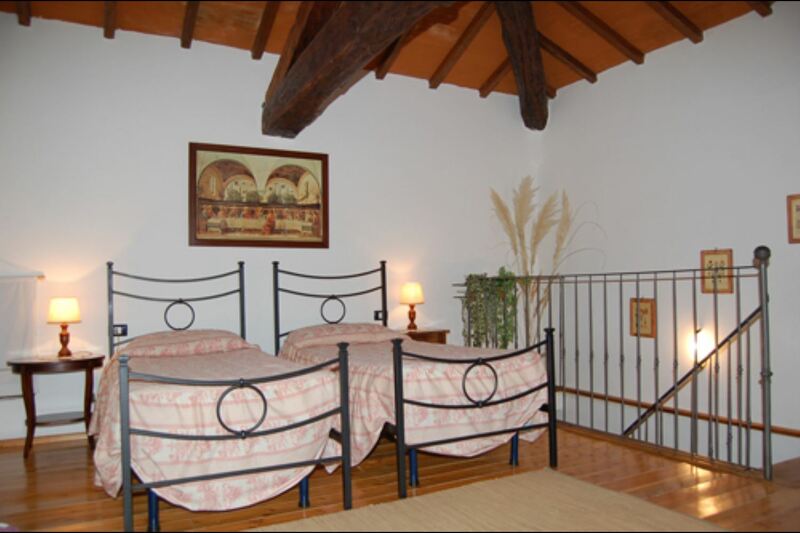 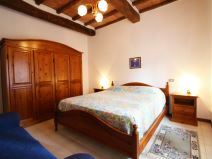 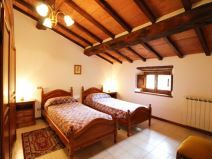 Living room with fireplace and sofa, twin bedroom, triple bedroom (3 single beds), bathroom with shower. 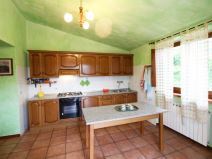 EQUIPMENT: fridge with freezer (2), Satellite TV (2), oven, dish-washer, washing machine, barbecue, table tennis, bowling alley, playground for children, table football, five-a-side football field, basketball, fishing lake, private tennis court, Wi-Fi Internet access, filter coffee maker, iron and ironing board, fans (4), moka coffee maker, high chair. 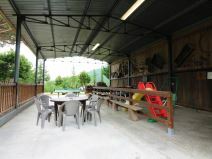 Obligatory final cleaning Euro 230. 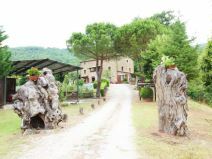 Pets are welcome on payment of Euro 8 each per day. 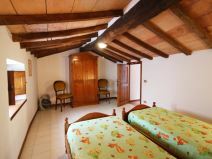 Il casale si presenta subito come un luogo incantato, lontano dai rumori cittadini con una cornice di olivi e verde a dismisura. La signora Anna molto gentile ci ha accolti nei suoi appartamenti puliti comodi ed ordinati. 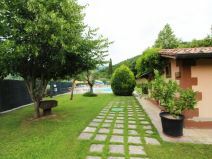 Peccato non aver potuto usufruire delle piscine essendo inverno, ma il capanno con ping pong e biliardino é stato molto apprezzato dai ragazzi anche durante la pioggia. 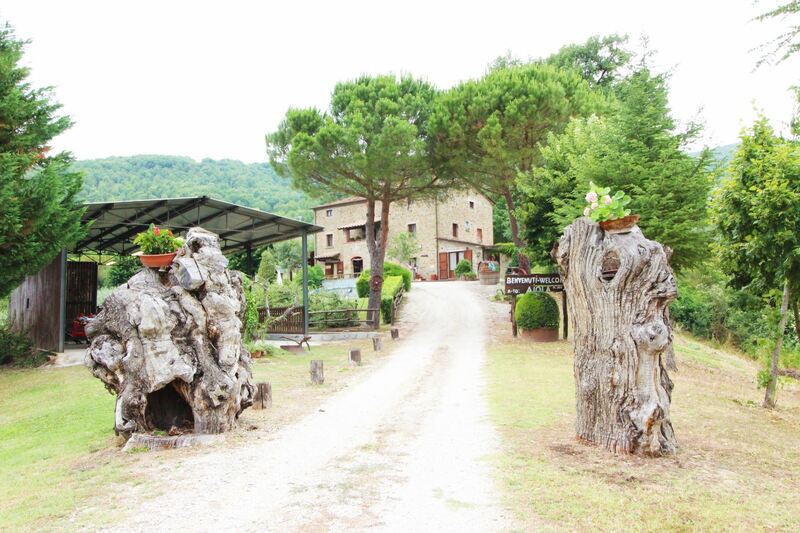 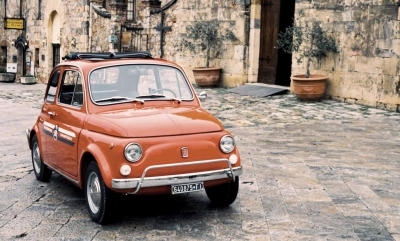 Molto belli i borghi raggiungibili con una mezz'ora di auto, San Sepolcro, città di castello e a 40 minuti cortona, bellissimo esempio di medioevo italiano. 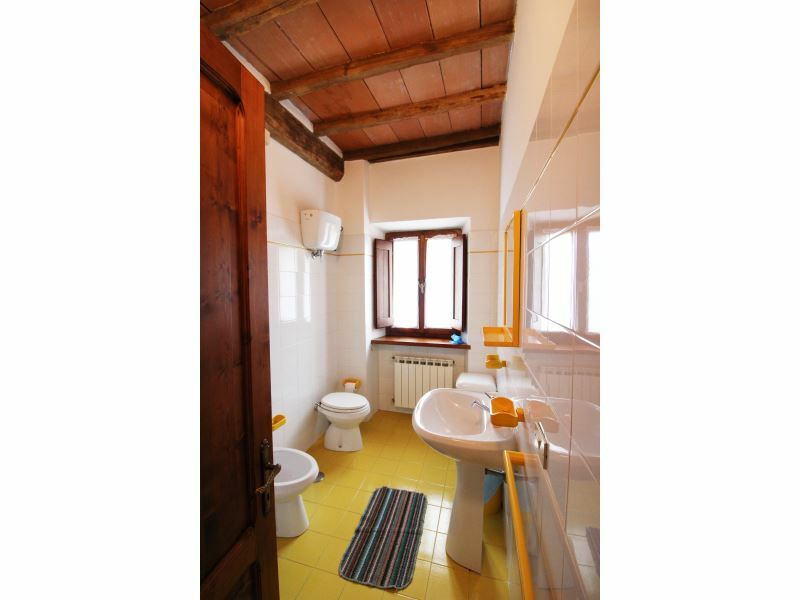 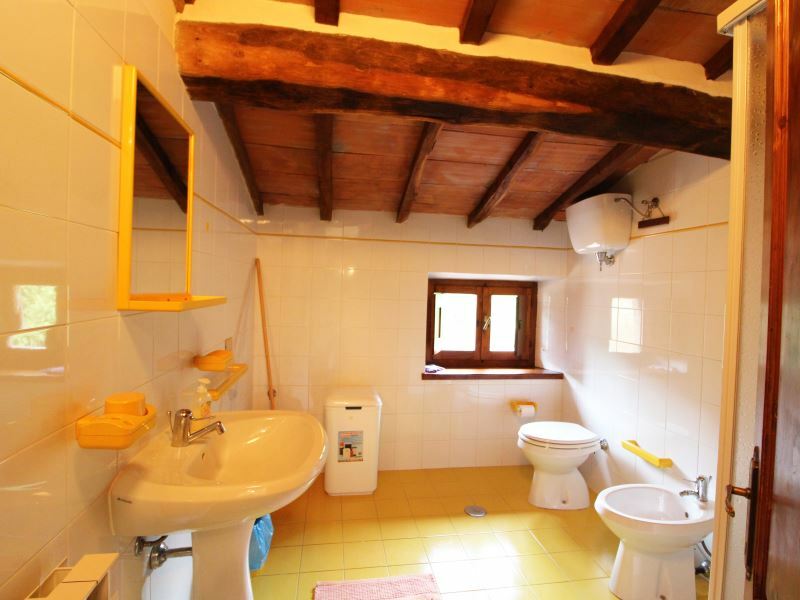 Unico neo i bagni, funzionali ma un po datati e alcune finestre in legno con chiusura poco idonea che fanno disperdere un po di calore. 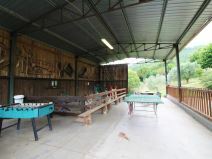 Soggiorno di 3 notti apprezzatissimo da tutto il gruppo (17 persone)da ripetere in stagione calda.